Singapore’s Transport Safety Investigation Bureau (TSIB) will be hosting the Fourth International Accident Investigation Forum (IAI Forum/4), together with the Singapore Aviation Academy (SAA), the training arm of the Civil Aviation Authority of Singapore (CAAS), at the Singapore Aviation Academy from 10 to 12 April 2019. Prior to its restructuring to include marine safety investigation and renaming to TSIB in August 2016, the then Air Accident Investigation Bureau of Singapore hosted the Inaugural IAI Forum in 2010 and the Second and Third IAI Forum in 2013 and 2016 respectively. With strong support from the International Civil Aviation Organisation (ICAO), the European Civil Aviation Conference (ECAC), the International Society of Air Safety Investigators (ISASI), the Flight Safety Foundation (FSF), and Curt Lewis and Associates, the triennial IAI Forum aims to bring together the world’s top government investigation officials and experts to discuss issues relating to the organisation, infrastructure and management of accident investigation. This forum is open to investigation officials responsible for discharging their State/Administration’s obligation under Annex 13 to the Convention on International Civil Aviation, regulatory officials and safety professionals from the aviation industry. The tentative programme is available here. MOT hosted dinner in the evening of 11 April at Hotel Fort Canning. The registration for the forum is now closed. If you have registered prior to 27 March 2019 and did not receive a confirmation, please contact Mr Alexander Leong at alexander_leong@mot.gov.sg. The organisers will contact you upon successful registration for the event. There is no registration fee required to participate in this forum. However, air travel, accommodation and living expenses shall be borne by the participants. 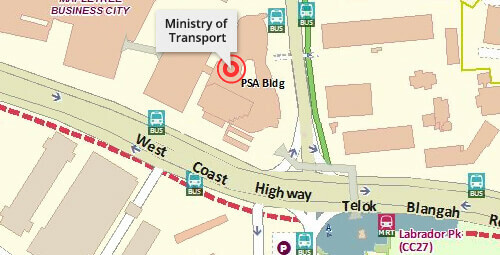 Please contact Mr Alexander Leong at alexander_leong@mot.gov.sg for event enquiries. Confirmed forum participants attending IAI Forum are encouraged to stay at the following two hotels which have preferential room rates. The rooms at preferential rates are subjected to their availability, please make your reservation early. Complimentary shuttle service will be provided to the event venue from both hotels. Many people marvel at the beauty of Singapore and her progressiveness. Most impressive to note is that she was formerly just a humble fishing village, inhabited by an indigenous settlement. 2019 is also the 200th anniversary when Singapore was founded by Sir Stamford Raffles from the British East India Company. Although Singapore was inhabited prior to Sir Stamford Raffles’ arrival many historians recognise that the founding was the start of the rise of Singapore as a port of commerce and growth. Fast forward to today. Singapore is a bustling cosmopolitan city with high-rise buildings and landscape gardens. We are home to a bustling Central Business District, the famed shopping belt Orchard Road, a vibrant arts and entertainment scene, lively dining and drinking spots, and various must-see attractions. We are inspired by our rich culture and heritage, yet geared for the future. For useful travel information such as the visa requirements to enter Singapore and how to get to Singapore, please click here. The 4th IAI Forum is hosted by the Transport Safety Investigation Bureau and the Singapore Aviation Academy. The Transport Safety Investigation Bureau (TSIB) is the air and marine accidents and incidents investigation authority in Singapore. The mission of the TSIB is to promote aviation and maritime safety through the conduct of independent and objective investigations into air and marine accidents and incidents in accordance with international and recommended practices. On 1st August 2016, it was restructured from the then Air Accident Investigation Bureau of Singapore by the inclusion of marine safety investigators. For more information about TSIB, click here. The Singapore Aviation Academy (SAA), established in 1958, is the internationally-recognized training arm of the Civil Aviation Authority of Singapore. It offers a wide range of operational and management programmes that benchmark international standards and best practices to meet the training needs of the global aviation community. SAA is an ICAO Regional Training Centre of Excellence, ICAO Aviation Security Training Centre, ICAO-endorsed Government Safety Inspector Training Centre and ICAO TRAINAIR PLUS Full Member. Through its four specialized schools - School of Aviation Management, School of Aviation Safety and Security, School of Air Traffic Services and School of Airport Emergency Services - SAA has trained over 91,000 participants from 200 countries and territories since 1958. For more information about Singapore Aviation Academy, click here.